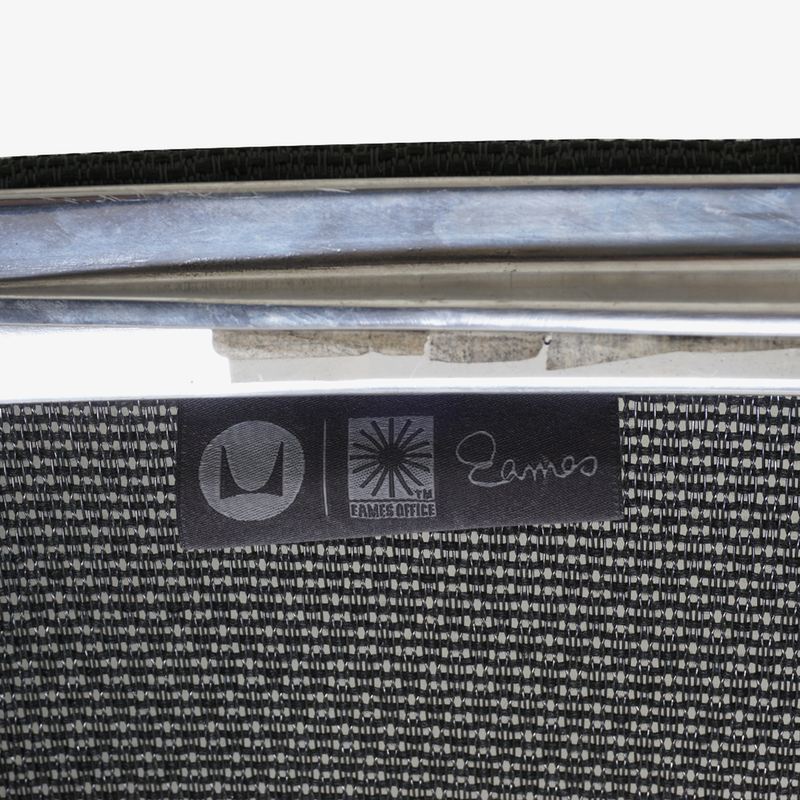 A design by the great Charles & Ray Eames that’s become a rightfully predominant symbol of Mid-Century design. The Aluminum Group Collection was kicked off in 1958 with the intention of exploring lightweight lounge furniture that was durable enough to exist in spaces both indoors and outdoors. With advancements made with the use of Aluminum in their projects, Charles & Ray designed a cast frame onto which a “sling” of material was wrapped. Never before had the notion of solid shell seating been tampered with until this design revolution. Not only was this design perfect for any environment but the users body is simply cradled as the design conforms to it. Charles & Ray expanded their design discovery across an entire collection of furniture which is now known as the Aluminum Group Collection, and is quite evidently a model of inspiration for all contemporary office furniture today. 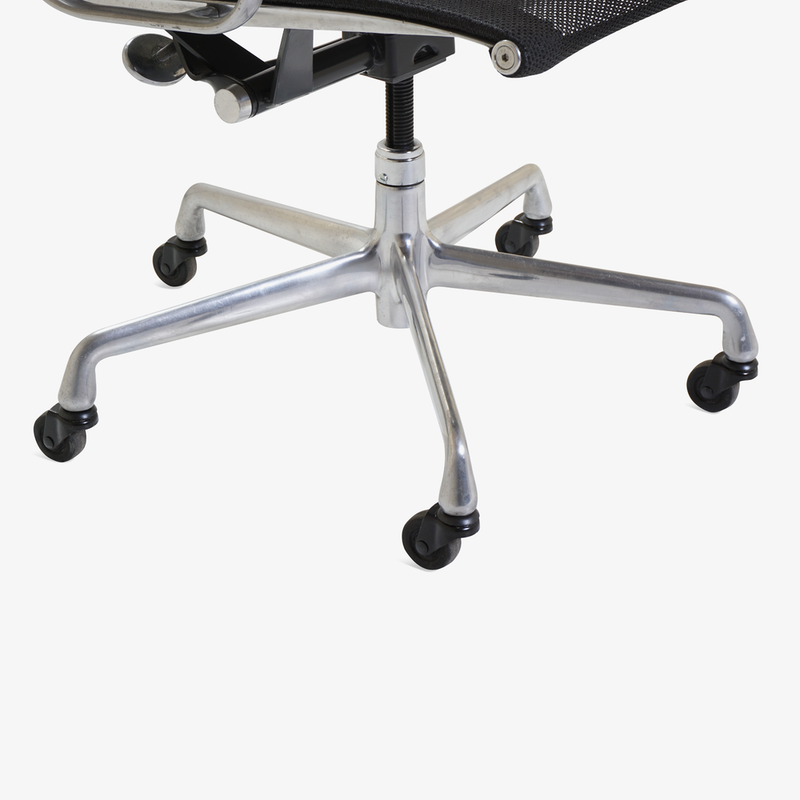 This chair is equipped with manual height adjustment, tilt with tension control, and a swivel base.